This is pretty much the episode I wanted after the season premiere this year; let’s see how it stacked up…. So, Star City in the year 2040 was a very clever plot device when the season started and I feel like it’s had one of the most fleshed out storylines of all the time jump stories that accompany each season. But, I have to admit: it feels a bit empty without the presence of Stephen Amell, and to a lesser degree, David Ramsey as this show started with those two. This whole episode was a retreat to this storyline to basically gives us Felicity back, at least one part of the original Arrowverse Trinity. And despite the questionable old age makeup, it’s good to see her. I am really digging Ben Lewis as adult William; his character has layers to him that you wouldn’t have expected by what material his teenage self is given. He’s complicated, and dark, like his father, but has an upbeat and witty side as well, stemming from his mother by marriage. Plus, he’s a hacker and it’s an interesting twist to give Oliver’s daughter his drive and fighting skills. Katherine McNamara as Mia does her best Oliver Queen impression and it’s close, but unlike his character, her origins are a bit more muddled. Randomly finding a secret room in their house and the after match blow up she gave her Mother felt way over the top and just a plot device to get her to where they needed her once William discovers her. But, how much time had passed from the time she runs away to current time at the end? Hard to gauge, unless I just missed it in the show. I feel like she does an admirable job but there are some issues with the sequence of events and plausibility in my mind. 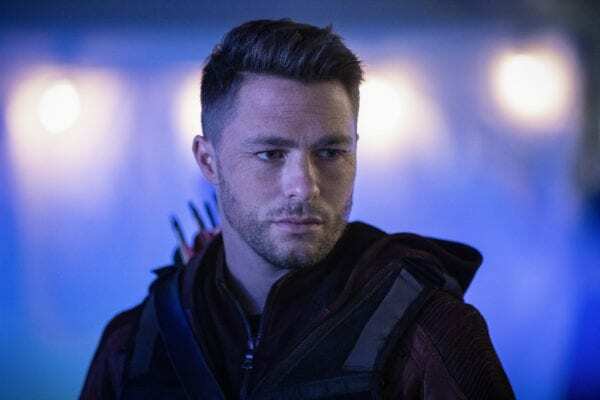 It was exciting to see Colton Haynes back as Roy, but he’s basically been a bit player so far, although we did see a very Oliver-esque anger fit in last night’s episode that at least gave him some character. The new bad of this story is pretty generic as well, basically recreating Merlyn’s “bomb the whole damn city to rubble” premise from Season 1 all over again. I think the more they’ve revealed of this storyline and drawn it out, it’s become less interesting but the new cast members are keeping the intrigue and action relevant. There’s also a huge theme this season dealing with the term “vigilante” which has always been a buzzword on the show but it’s more and more defined as being a hero who has to work outside the law, not because it’s easier but because it’s more effective. The moral being if you’re a semi-moral person, being a vigilante is okay. I’d love to see more history from this time period and give us some meat on how vigilantes ruined the city to the point where it is now. 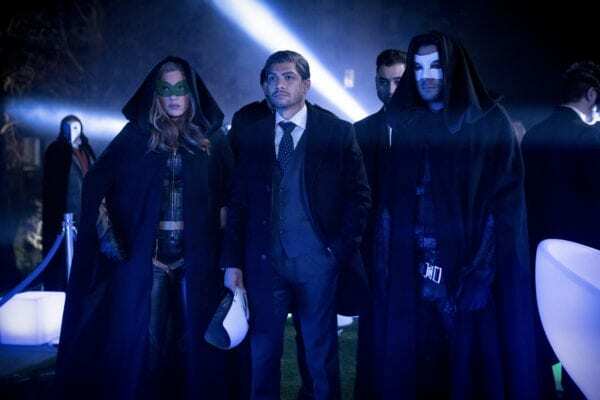 Rating – 7/10 – Felicity being found was our end goal but apparently there’s a lot more going on….probably some pretty sad demises, if I had to put on my soothsayer’s hat. But, in this instance, it’s our new characters, the Queen offspring, that generate the excitement in this episode.